Console and iGaming Crossovers: The Future? >> Console and iGaming Crossovers: The Future? With console gaming continuing its role as the primary breadwinner of the $91bn world gaming industry, there is little wonder the crossover potential of many of its iconic titles and characters. The popularity of titles as varied as Angry Birds, Tomb Raider and the Mario franchise has led to film, television and even music video crossovers, with the increasingly mainstream games industry making strides in the wider entertainment industry. Another phenomenon of this crossover potential is within the gaming industry itself, with console stars having been utilized not only across the console and PC sectors but in others, too. 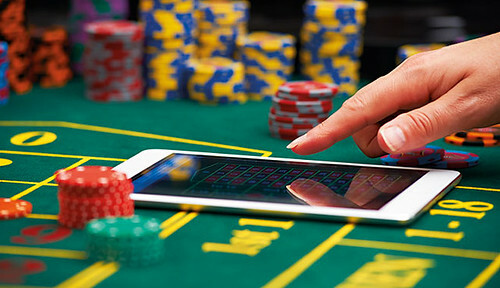 The increasingly prevalent online gambling industry is one area that has unsurprisingly run with these themes, with a host of titles having made the crossover between platforms with huge success. A glance at the 2017 Ukie report into the performance of the online gambling industry reveals that it is expected to grow to around $59bn by 2020 and that a post-smartphone surge in the popularity of iGaming is partly driving this growth. The ability to enjoy gaming with the chance of real-term prizes is one that has an obvious appeal, but the reality is that without an attractive gaming narrative and gameplay, iGaming titles fall just as flat as they would on a more mainstream platform. This is where the old favorites step in, of course, and attributing an iconic video game character to a slot game can hugely increase its success. The familiarity of popular characters, especially those who have previously already made the leap into film or TV, gives the iGame a validity it would otherwise miss. This is an especially important attribute in a crowded online gambling industry, of course, where trust is key. No fewer than three major console titles, including Hitman, Game of Thrones and Tomb Raider, have successfully made the crossover to slots-based gaming and are available for fans to play with promotional offers and free spins for Slot games online at Games William Hill. Furthermore, the crossover appeal between the games industry and Hollywood is obvious, too, with Ghostbusters and Spartacus also featuring, as does a game inspired by the popular TV sci-fi show Battlestar Galactica. Tomb Raider is a particularly prominent cross-platform title, of course, with titles in every conceivable entertainment stream, including a box office-busting film franchise starring Angelina Jolie. The forthcoming Alicia Vikander reincarnation of the franchise was announced in recent weeks and is eagerly anticipated, with many hoping it will lead to a reboot of the ever-popular console and indeed iGaming titles. Titles such as Red Dead Redemption and Fallout: New Vegas having toyed with bringing the casino experience to console gaming, but the iGaming industry as a whole is rumoured to be making its very own move into console gaming as the VR revolution makes itself felt. Many expect online casino games to flourish as consumers become able to enjoy realistic casino experiences from the comfort of their own home, and with eSports having experienced its own revolution in recent years, the combination is likely to see slot games played across consoles in the near future. Which games make the crossover to iGaming in the future remains to be seen, but with these titles showing no signs of slowing in their popularity with slots gamers, it is likely more will follow suit.